HERAT -- Afghanistan's religious scholars and civil society activists are once again joining together to urge the Taliban to respond positively to the Afghan people's calls for peace. In the latest push, more than 100 religious scholars gathered January 17 in Herat city to voice their support for peace talks among the Afghan parties. "Religious scholars and imams of mosques in Herat have gathered here to strongly support the peace process and peace talks between the Afghan government and the Taliban," said Sayed Mohammad Shirzadi, director of the Herat provincial department for religious affairs and the Hajj. "By supporting the peace process, the religious scholars want to strengthen the peace talks and encourage both parties to respond to the demands of the nation," he told Salaam Times. "The war ... is absolutely illegitimate," Shirzadi said. "Committing violence and suicide attacks in places where innocent and defenceless civilians live is not allowed in Islam and cannot be justified as a religious act." "There is definitely no logic that war can satisfy a society's needs, and it cannot help a nation to improve its civilisation and protect its religious, national and cultural values," he said. "The dire impact of war destroys a society's values and can further escalate tensions in society." The religious justification the Taliban uses for the war in Afghanistan has no support in the teachings of Islam, the religious scholars said. "God says there is benefit in peace -- it means that peace is in the interest of all parties to the conflict -- both the Islamic Republic of Afghanistan and the Taliban," Mawlawi Sayed Ahmad Hussaini, one of the religious scholars in Herat city, told Salaam Times. "The solution to the conflict in the country is only in peace, not in war." "The war has harmed everyone," he said. "I hope all parties go towards peace, following the orders of God and the Prophet, who have recommended peace for resolving differences and problems." 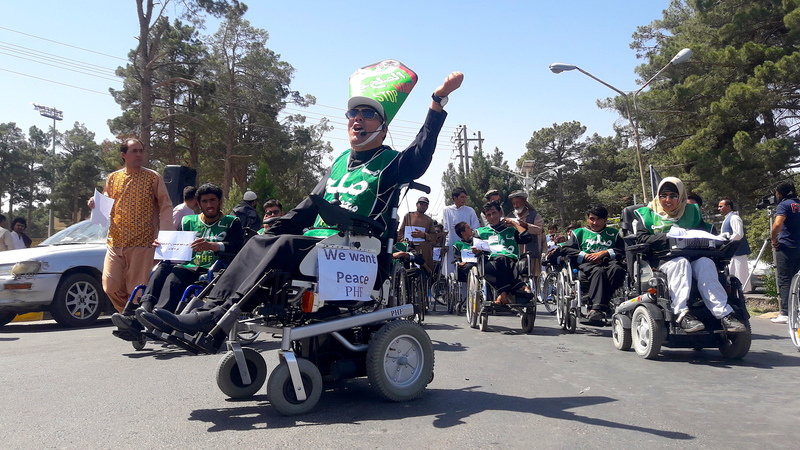 "We want for Afghans, who have lived in conflict for the past four decades, to escape this situation and to live in a peaceful environment," Hussaini said. "The Taliban should listen to the [Afghans'] demands for peace and must not disobey the orders of the Koran," Mawlawi Merajuddin Khushki, another religious scholar in Herat city, told Salaam Times. "Killing is a deplorable act, and Islam prohibits it," he said. "The message from the religious scholars is clear: both the Taliban and the government claim that they are Muslims, and we want them to follow the teachings of Islam and make peace." "Scholars and imams of Herat Province support the peace process between the government and the Taliban," said Mawlawi Muhammad Faqiri, a religious scholar from Herat who also participated in the gathering. "The reasonable demands of both parties -- which are in the best interest of the religion, country and the Afghan nation -- must be taken into account in peace talks," he told Salaam Times. "Religious scholars condemn suicide attacks and explosions and consider them inhumane and non-Islamic acts," he said. "A ceasefire needs to be reached by the time the government and the Taliban begin peace negotiations." The religious scholars strongly opposed Russia's involvement in the peace process. "It is clear to the Afghan nation that the Soviet Union inflicted heinous atrocities on this nation and that millions of youth and citizens ... were martyred by the tyrant regime of Russia at the time," Shirzadi said, referring to the 1979-1989 occupation. "So, if we ask that same country to help us bring peace to our country, it would mean putting a robber in the place of a judge," he said. "Asking Russia for help is wrong from an Islamic point of view," he said. "Afghans want the peace that is recommended by God and the Koran, and Russia cannot bring that type of peace." "Some neighbouring players and countries ... have invested in the Taliban and terrorist groups," Herat-based political analyst Abdul Qader Kamil told Salaam Times. "They try to use insurgent groups as a weapon in their regional rivalries to reach their seen and unseen goals." "The Taliban, if they are real Afghans, shouldn't let neighbouring and regional countries use them as puppets, and they should join the peace process," he said. "They need to respond positively to the peace efforts of the Afghan government." "We support the efforts made by the United States," Kamil said. "The Afghan public demands a fair and sustainable peace." "The Taliban must know that Afghanistan is not returning to the time when the Taliban shut Afghans' mouths," he said. 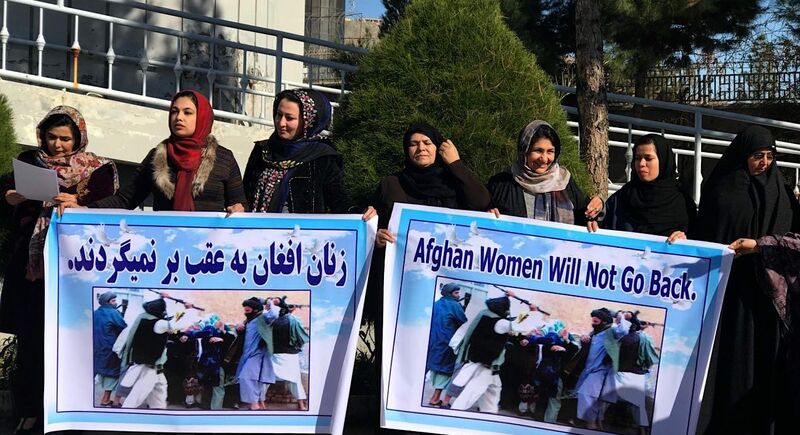 Separately on January 17, the Herat Civil Society Institutions Network (HCSIN) called on the Taliban to put an end to the bloody war and to the killing of Afghans. "Peace is a genuine demand of the Afghan public that we must achieve, putting an end to the half-century war," said Sayed Ashraf Sadaat, a member of the HCSIN. "The [HCSIN] in Herat Province supports the peace efforts and wants Afghans to be part of the process." "We are demanding the restoration of peace in our country, but we also hope that Afghanistan's achievements over the past 17 years are declared a red line during the peace talks," he told Salaam Times. "Peace should not cost us the achievements of the Afghan people." Women must "play a prominent role in a sustainable peace"," said Mariam Jami, another HCSIN member. "We expect women to secure a larger stake and a special place in various areas -- political, economic and social -- during the peace talks," she told Salaam Times. 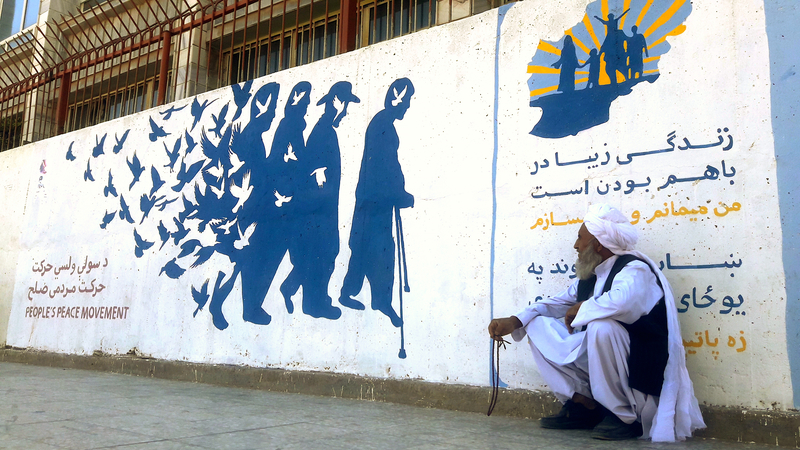 "We are hopeful that these talks soon bear fruit," Shoaib Tanha, 33, a resident of Herat Province, told Salaam Times. "We are fed up with the war in Afghanistan, and we all hope that we have a prosperous and peaceful country," he said. "The peace efforts have raised our hopes, and we call on the Taliban to enter direct talks with the representatives of the Afghan government."